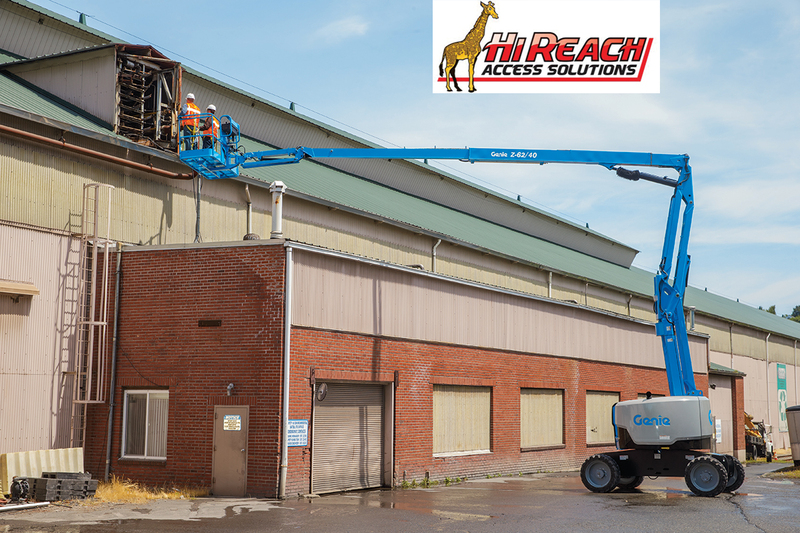 New Zealand based Hi Reach Access Solutions in Nelson has become the first hire company in the country to purchase the new Genie Z-62/40 articulating boom. It joins an every growing range of Genie lifts that now dominate the fleet belonging to this popular South Island hire company. Kurt Kinder, Terex AWP Regional Sales Manager for New Zealand, Queensland and the South Pacific has known Charlie Harwood for many years, and he knows that Charlie is appreciative of the reliability and back up offered by Genie and its New Zealand distributor Youngman Richardson & Co Ltd. “This is the reason that Hi Reach Access Solutions keeps on coming back to Genie, but it’s the level of ongoing support between the companies that is most important to them,” said Kinder. A compact and hardworking unit, the Genie Z-62/40 articulating boom offers an outstanding working envelope, vertical and horizontal reach, manoeuvrability and servicing. 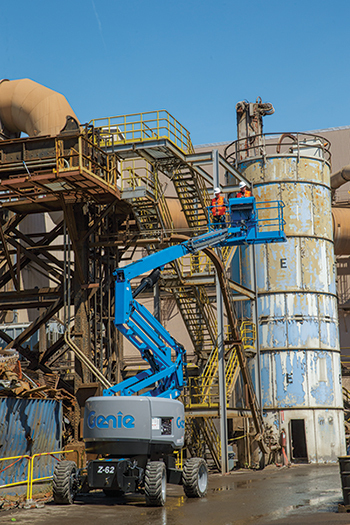 In all of these areas, the new Genie Z-62/40 boom lift provides significant enhancements over the model it replaces, the Genie Z-60/34 boom lift. Kurt Kinder, Terex AWP Regional Sales Manager for New Zealand, Queensland and the South Pacific said: “Genie has completely re-envisioned the previous model boom lift to make the new Genie Z-62/40 boom better fit customer needs in today’s marketplace. “We increased the height, outreach, transportability and key features while decreasing the overall weight of the product. The Z-62/40 boom lift was designed with serviceability in mind and has enhanced access to electrical and hydraulic service points. A swing-out engine tray allows for easy access to either side of the engine assembly to quickly service the starter, exhaust or filters. “This reduces service cost and down time to help maximise ROI,” said Kinder.